Fort Road, Leh (Ladakh), Leh-Ladakh. 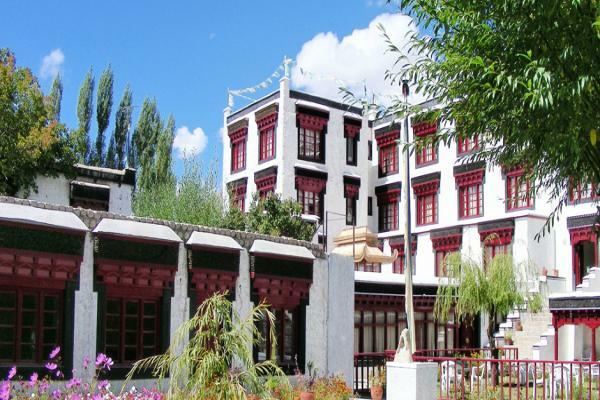 It is counted among the luxurious hotels of Ladakh, situated at the center of the city and its just a 5 minute walk away from the market area in Leh. It has 30 double rooms and 1 single room with all the luxurious facilities including Well maintained garden and farm,Full Travel Guide, Carom and Chess, Barbeques in winter, Children's playground, In house laundry, Doctor on call, Major Credit cards accepted, Travel assistance,Pick up and Drop, Stand by Generators, Central Heating etc.